ExpressVPN is one of the biggest names in the VPN space. They offer excellent service and some of the best security and privacy options available. All that comes at the cost of it being one of the more expensive VPNs and having the tightest use restrictions. Is it worth the cost? Having a reliable VPN is vital for anyone accessing the internet today. Your information trail, such as what sites you visit and from where, all have value, so companies track your activity. Public internet hot-spots are ubiquitous, but you can’t know who is snooping in on them. Governments may block what content you can access. Your ISP may be putting artificial limits on your internet speed. A reliable VPN can help protect against all of these. A VPN essentially acts as a tunnel out to the internet. It will protect the internet traffic coming out from your computer or device from inspection by the ISP or others sharing the same network. Because your traffic then goes through the VPN’s servers, if the VPN provider isn’t trustworthy you may be worse off. Therefore, “free” VPN services should be avoided. ExpressVPN is one of the longest running and most trusted VPN providers available. The company has been in service since 2009; they are not new to the market and have been providing service for longer than most providers. Their no logging policy appears to be true; recently, one of their servers was seized by law enforcement officials in Turkey, and they were unable to gather useful information from it. The infrastructure for ExpressVPN is truly impressive. They claim to have over 2,000 servers located in 94 countries and 148 cities. 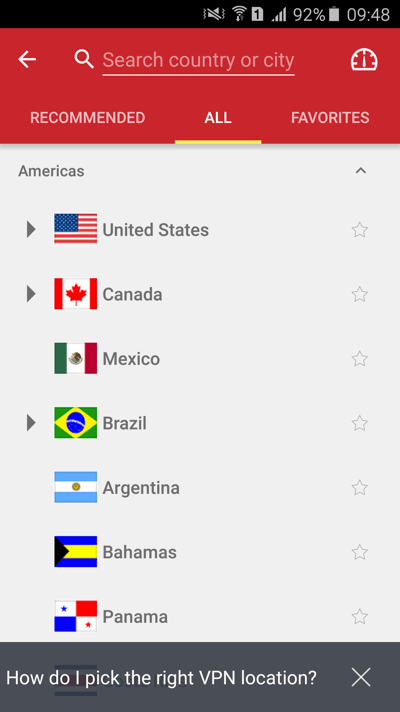 The number of available countries is far greater than most other providers; this is great if you plan to travel, as there will almost always be a server nearby to connect to. ExpressVPN covers North America and Europe very well, like most other providers. What sets it apart is a large number of locations in South America and Asia. All this comes at a cost though, ExpressVPN is one of the most expensive VPN services. Their price per month is $12.95, and if purchased a year at a time it comes out to $8.32. This is a couple of dollars more than the average price and much more than some providers who may offer a 3-year plan for the maximum discount. When it comes time to pay, they accept a laundry list of payment options. They take the standard PayPal and Credit Cards, or for maximum privacy they also accept Bitcoin. If you are not located in the United States, they also accept Alipay, UnionPay, and Yandex Money among others. This is great because those may be available in restrictive countries where you’ll most need a VPN. 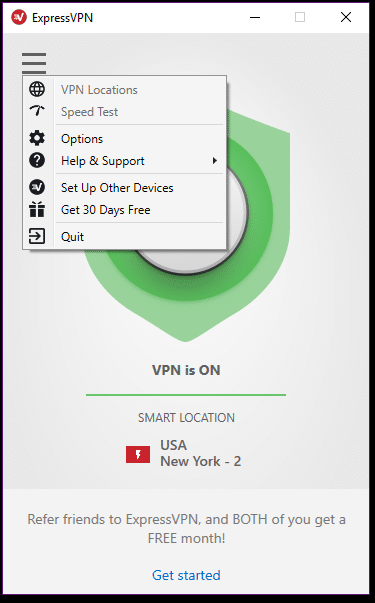 The number of devices you may use simultaneously is also restricted to ExpressVPN. A single account will only allow three simultaneous connections. This is much lower than average and might cause an issue for some. If you need to connect more devices, they recommend buying an additional subscription or setting up a home router to use their service to protect every device connected to it. Bandwidth is unlimited for your connected devices, though. 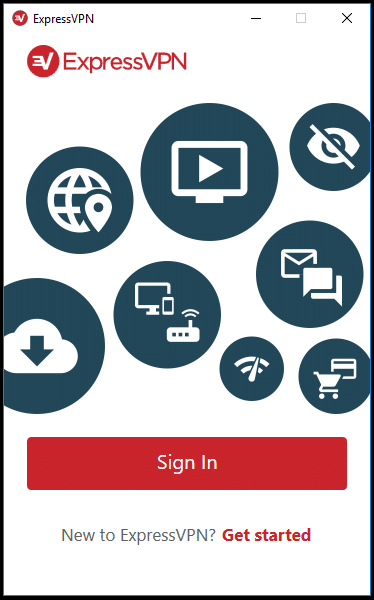 ExpressVPN offers access to clients for most devices. This covers conventional devices such as Windows, macOS, iOS, and Android, as well as uncommon ones including Chromebooks, Linux, Amazon Tablets, and home routers. They even offer a ‘media streaming service’ for devices unable to use a VPN natively like Apple TV and XBOX, if you register your IP address. Any time you use a VPN, there will be an internet performance impact. Connecting to a remote server will increase response times, and the encryption will introduce additional overhead that lowers your maximum theoretical performance. A good VPN service will minimize these and not add any further slowdowns. All our tests are performed on a dedicated wired internet connection. 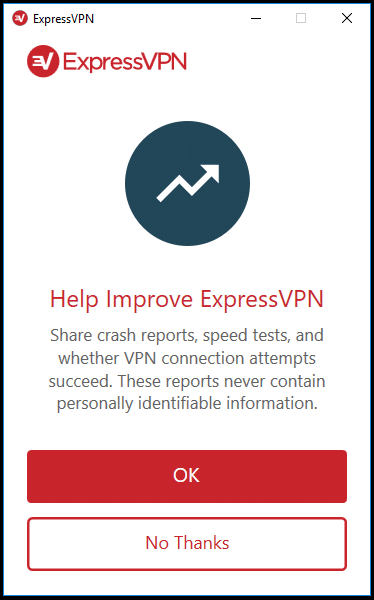 ExpressVPN is a premium service. This is shown in the speeds their service offers. 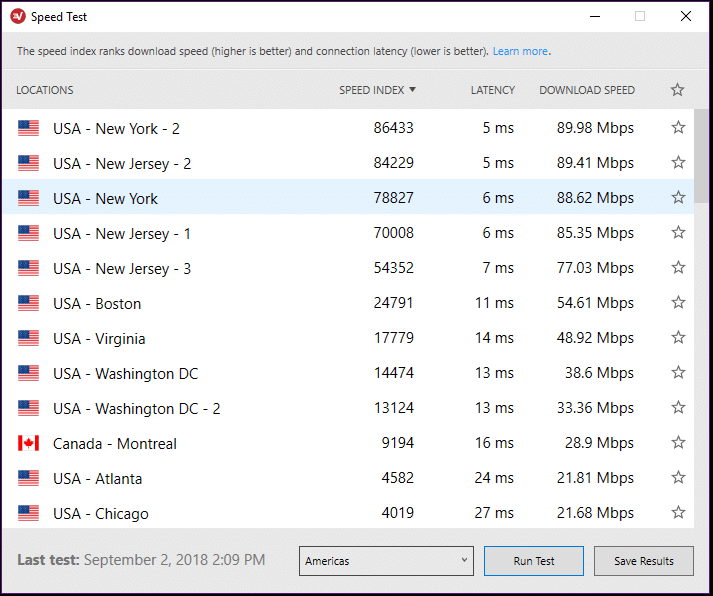 We use both fast.com and speedtest.net as synthetic bandwidth performance tests. Each test is run five times connected and disconnected to the VPN. We use the automatic server selection to find the fastest server. We saw the typical 20% maximum bandwidth impact that you will get with any VPN service. What was most impressive was how little the server ping times were unaffected by ExpressVPN. In some cases, the ping time was even lessened by the connection! This shows that when you use ExpressVPN, you are getting the best possible performance. 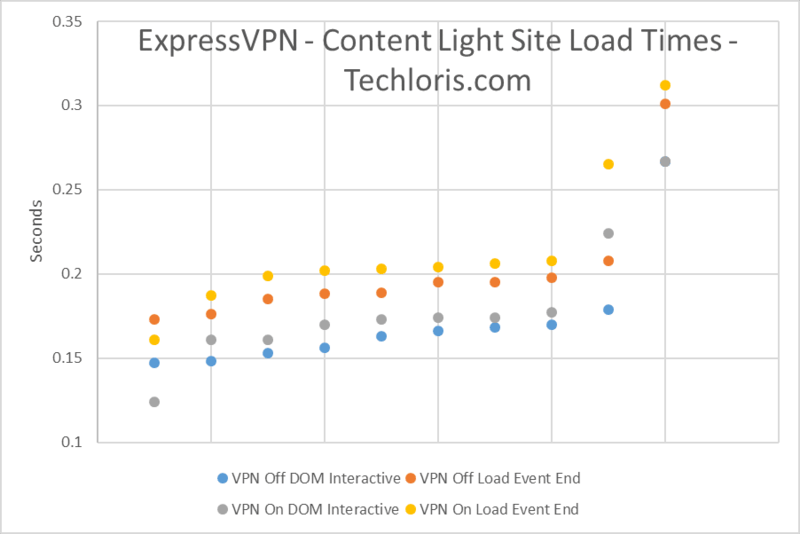 The excellent service provided by ExpressVPN is also shown in website load times. We use a tool to automatically load webpages, ignoring local cache, and compare how long it takes for simple web sites and complex ones. The timing was almost negligibly affected, in nearly all cases it was less than one-tenth of a second slower while connected. This is incredible speed and puts ExpressVPN as one of the fastest VPNs around. In normal use, you won’t notice any speed difference while connected to ExpressVPN. There was no noticeable difference in page load times or responsiveness. Normal downloads were similarly speedy with the download speed primarily hampered by the web server, not the VPN. For our video streaming tests, we stream video from various providers to ensure a stable connection and for availability. YouTube played fine at 1080p, with no stuttering or buffering. BBC’s iPlayer also loaded up first try when connected through a UK server. Netflix was another story; we were unable to stream video on Netflix while connected to any of the USA ExpressVPN servers we tried. Nextflix is in a constant war with VPNs, and it looks like Netflix currently has the upper hand over ExpressVPN. 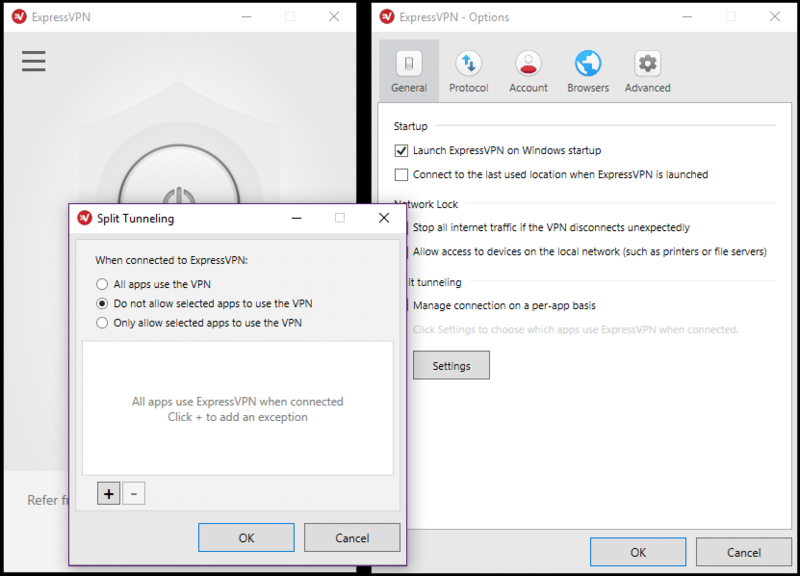 The ExpressVPN desktop clients take ease of use to the extreme. Installation was a one-click affair; there was no EULA or options. Just hit install and a moment later you are looking at the sign-in box for the client. The sign-in process is a bit different from what you may be used to though. 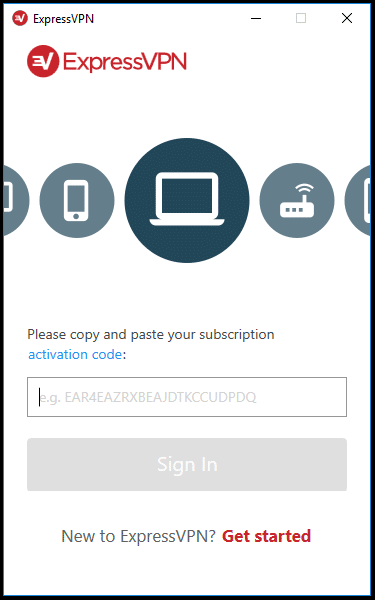 Instead of using your username and password to sign into the client you use an activation code provided by ExpressVPN. 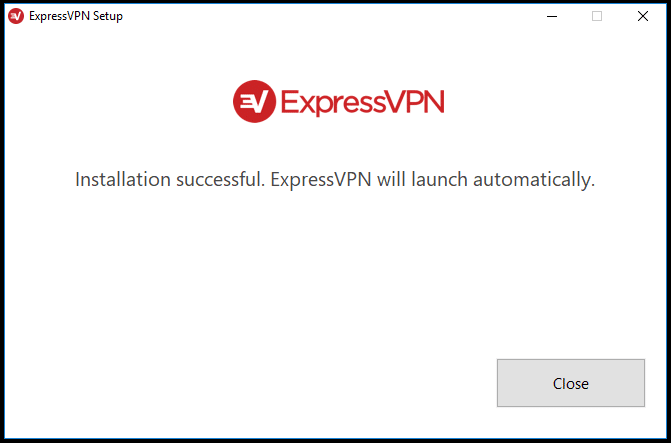 So, signing in then becomes a two-step affair of logging into the ExpressVPN website, copying the code there, and pasting it into the client. This is probably part of their secret sauce for privacy. Your account info is never directly saved to the client or sent to their proxy servers, only this activation code which would be meaningless to anyone besides them. There is a small trade off in convenience, but it is probably worth it in the added privacy. Using the connection client is similarly straightforward. It loads up with a big friendly power button, a select server button, and a hamburger options button. You can use the select server button to choose what location to connect to. This leads me to my biggest complaint with the client; you cannot change what server you are connected to while connected to the service. There is no way to connect to another location or change your IP without disconnecting first. This can be a major inconvenience if you are trying to find a location you can use a service from. Behind the hamburger menu icon are all the power options you may need. Running a speed test will show you precisely what servers you can get the best performance from. The options allow for the standard VPN protocol selection and advanced security such as automatic disconnect, IPv6 leak protection, and local network access. One very useful advanced feature that sets the ExpressVPN connection client above most others is per application split tunneling. You can select a particular app to not go through the VPN tunnel; for example, you can have a videogame not go through the tunnel for the minimum latency, but still, have all other web traffic protected. 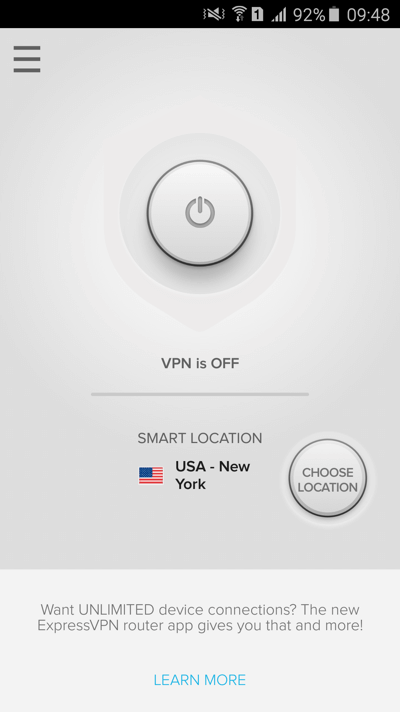 The ExpressVPN mobile apps are similarly simple to use. 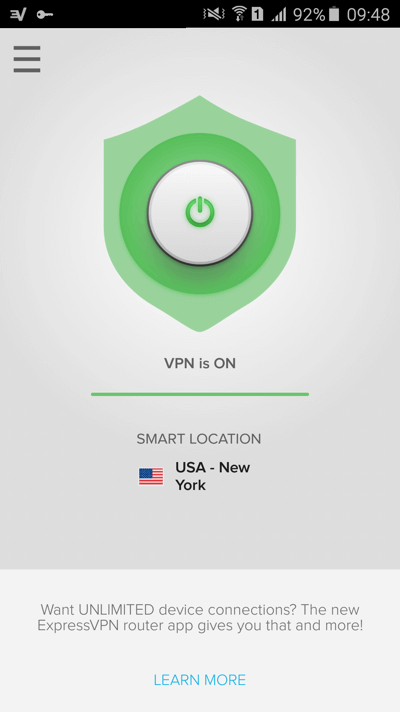 After installing from the Appstore you sign-in with your ExpressVPN username and password. The mobile apps allow you to change the location you are connected to without disconnecting first. The options only include choosing between OpenVPN TCP and UDP to reconnect at system startup. It also allows for ping tests to find the fastest server. 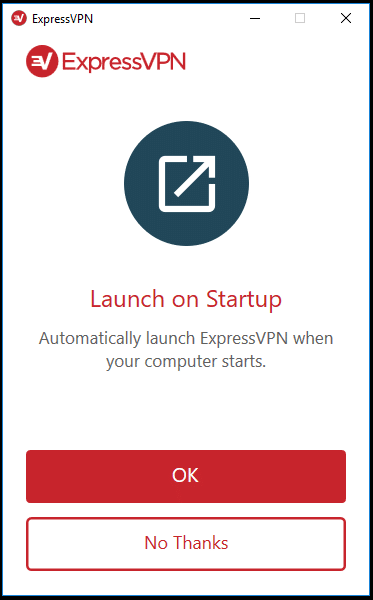 ExpressVPN offers all the security you could expect in a VPN service. They support the standard VPN protocols, OpenVPN, L2TP, and SSTP. They use industry-standard AES-256 encryption. We didn’t experience any issues connecting with the various protocols. The automatic configuration is very secure, they have IPv6, DNS leak, and internet kill switch all active out of the box. For maximum protection against attacks while on a public network, you should also use the option to disable local network traffic. 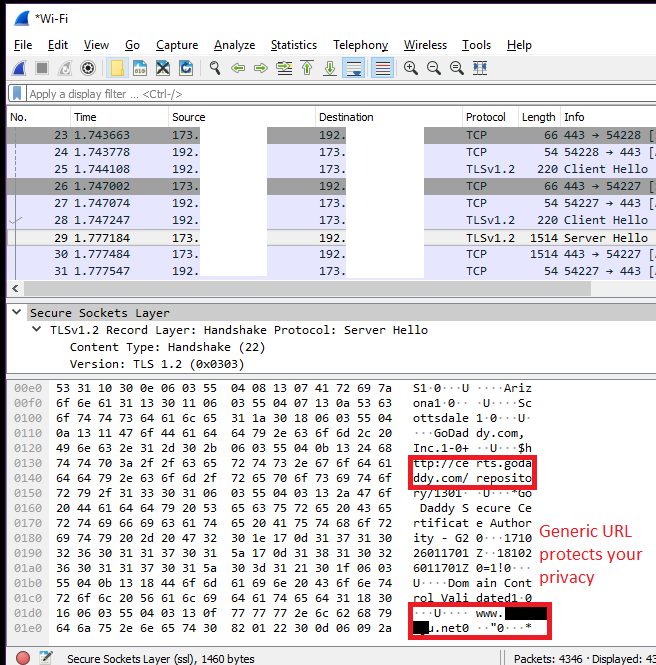 We used Wireshark to capture the authentication and some protected traffic while using ExpressVPN. Once the service was connected, all outgoing internet traffic was encrypted. Some out of order retransmit packets from already open websites were registered as incoming. So, it would be prudent to ensure that the VPN is the first thing you connect before you do anything else on the computer. We also check the initial handshake of the TLS connection. ExpressVPN used a cert linked to a domain of a random string of characters and GoDaddy as the CRL. This is a good thing, as some services may include their domain name in the TLS certificate, thereby giving away that you are connecting to a VPN. If ExpressVPN were a car, it would be the sport-luxury model. It’s fast, stylish, and feature packed. Pointing out that it’s expensive and you could never get three kids, and the groceries in it rings a bit hollow; that’s probably not what you’re looking for in a sports car. The speed and features offered by ExpressVPN set it apart from most other VPN providers. Their attention to detail when it comes to your privacy will undoubtedly set you at ease. A large number of speedy servers makes them a top pick for travelers as well. 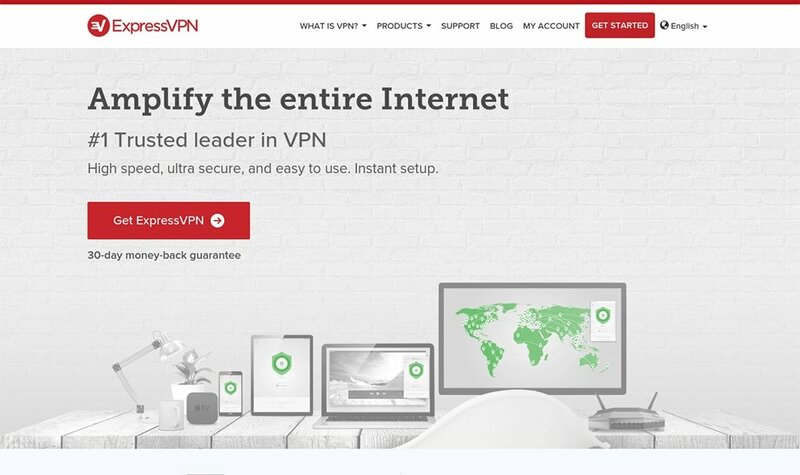 All that comes at the cost of it being one of the most expensive options; you can buy a 3-year subscription at CyberGhostVPN for the same cost as 1-year of ExpressVPN. The three concurrent device limit is a bit anemic as well. 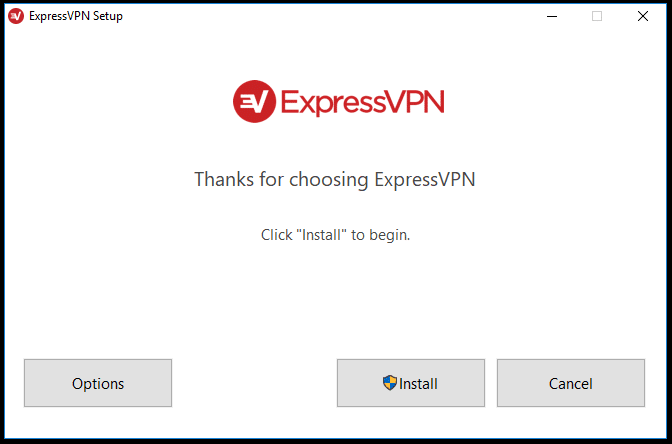 ExpressVPN is perhaps the best of the best when it comes to VPN service providers, but that comes at the cost of being pricier than the competition. Ultimately, it’s up to the consumer to decide if it’s worth it to them, but really, why drive a minivan if you can get the roadster?